“People keep asking why were weren’t at George’s wedding. I think he didn’t want lice-y there,” Garner joked. Jennifer Garner's first encounter with one of Hollywood's most swoon-worthy men was marked by a bad hair day, to say the least. The “Men, Women, and Children” actress told Jimmy Fallon that the first time she met George Clooney she had head lice. She said on Wednesday’s episode of “The Tonight Show” that her kids brought home the lice and the family had to put an oily medicine in their hair to get rid of them. Meanwhile, she attended a party with her husband, Ben Affleck, where she ran into Clooney for the first time. The actress noticed that Clooney was smelling the oil in her hair. “I was chatting with him and I can see that he smells me, and he’s trying to be polite,” Garner said. Then, she joked, “People keep asking why were weren’t at George’s wedding. I think he didn’t want lice-y there." 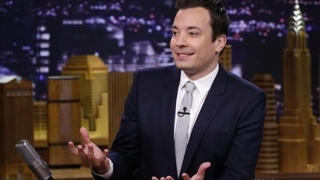 After the interview, Garner and Fallon partnered up for a game of catchphrase against the team of comedian John Mulaney and Questlove of “The Tonight Show” band The Roots. Who won? Find out in the video below.